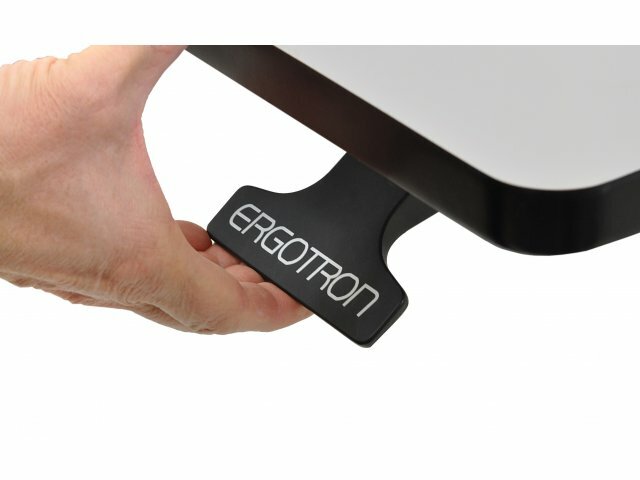 The Ergotron Sit/Stand desk will make your office healthier and more productive. 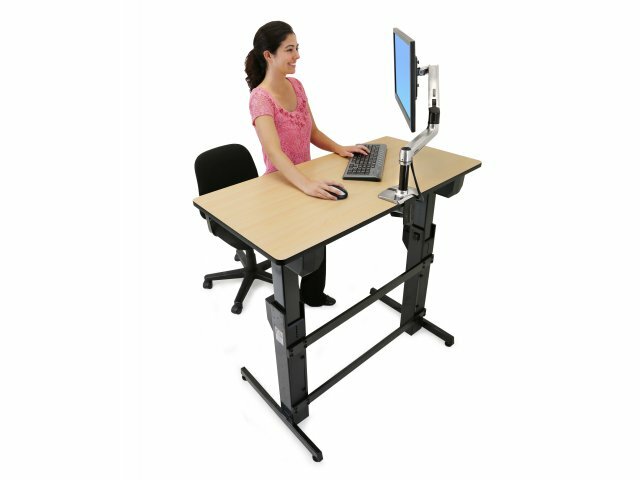 This height-adjustable stand-up desk offers an incredible 20" height range to fit any person, in any position. 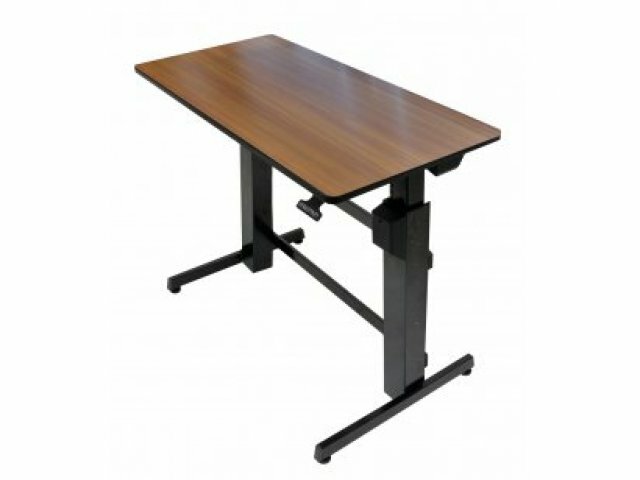 An easy-adjustment lever right below the work surface automatically locks the adjustable standing desk in place when released. Patented CF technology provides an innovative, dual-lift-engine design, which enhances work surface stability throughout the range of motion. 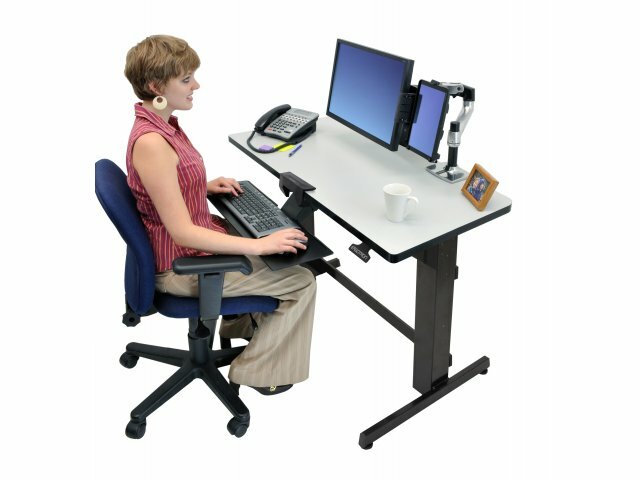 With the ability to adjust the work surface at any time, professionals are free to move from sitting to standing and back again multiple times throughout the day. 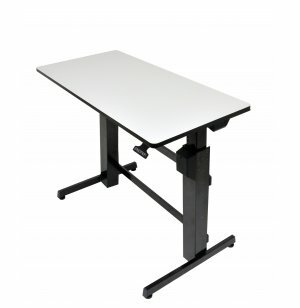 Incredible Range: A full 20" of height adjustment offers true sit-stand functionality. Smooth Adjustment: Patented CF technology allows instantaneous, tool-free, non-motorized re-positioning, via locking easy-access lever. 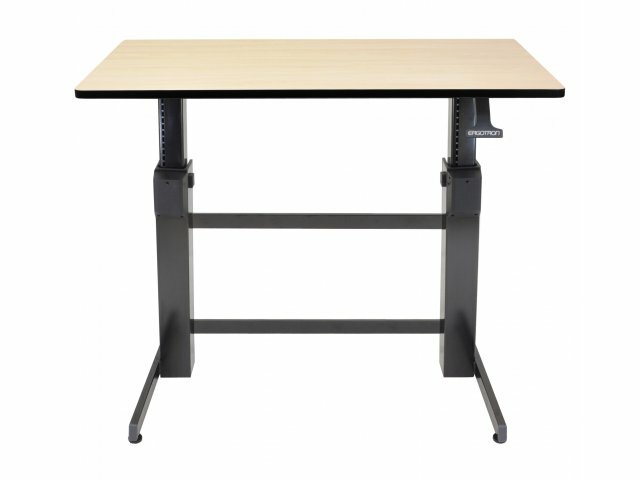 Extra Strength: The spacious 47.6" x 23.5" worksurface easily holds up to 65 lbs worth of displays, keyboards, books, phones and more. Healthy Choice: Sit and stand options promote healthy blood flow, while eliminating back and neck pain associated with extended periods of sitting. Safe Design: Radius corners eliminate sharp edges and bang points. 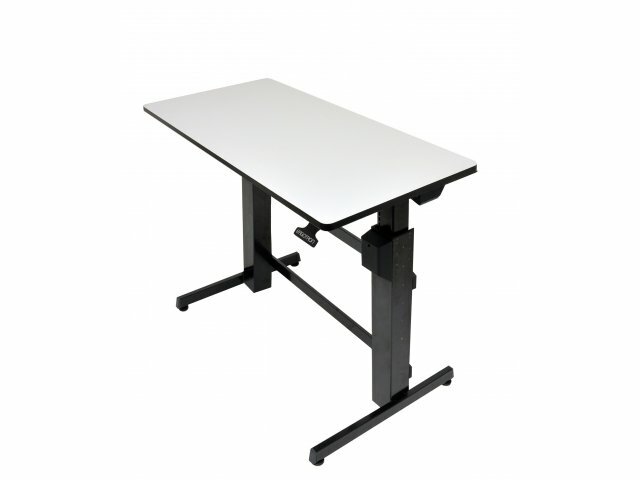 Sturdy Support: Stands on a steel base with leveling glides. 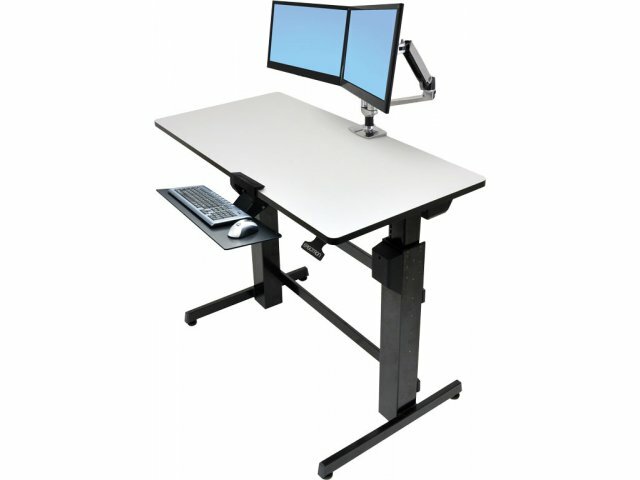 Great Options: Add an Ergotron articulating monitor arm to save space and enhance flexibility. Proper Positioning: Optional adjustable-height keyboard tray with backward tilt facilitates ergonomic typing.